David Byrd is a state representative from Tennessee’s 71st District who is popularly known as ‘Coach’ around the capitol. 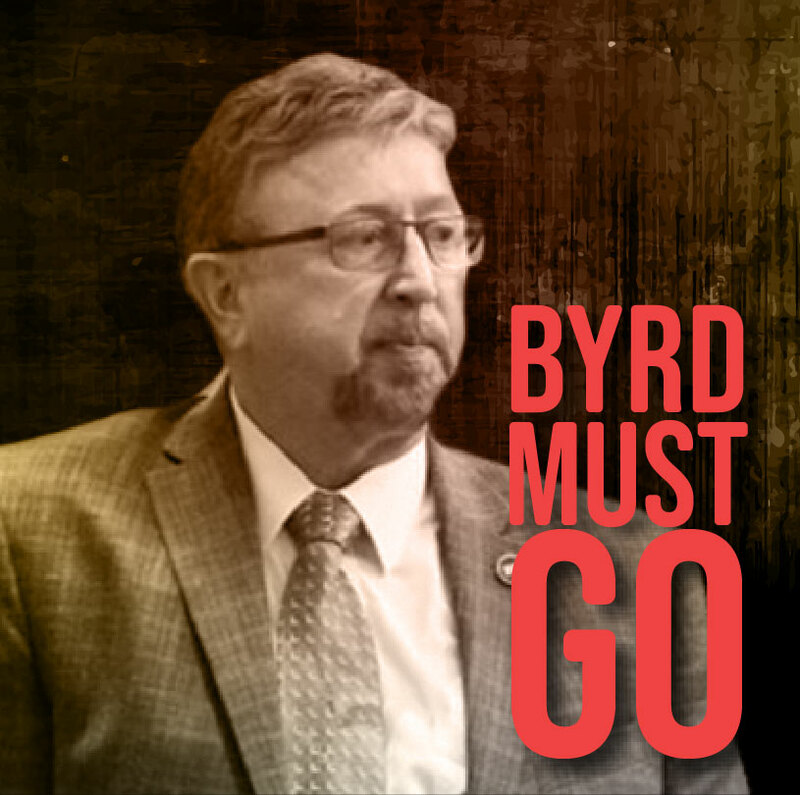 In March 2018, three women came forward and said that Byrd sexually abused them when he was their teacher and they were 15 to 16 years old. The victims report that Byrd kissed and touched them inappropriately, tried to get them to touch him, and then told them not to tell anyone. One of the victims confronted Byrd in a phone call that she recorded, and he can be heard apologizing for his behavior. Byrd has not denied the allegations. According to Byrd’s fellow coach and friend, Michael Edwards, Byrd confessed that he had inappropriate sexual contact with a student and wanted to take her to a motel. 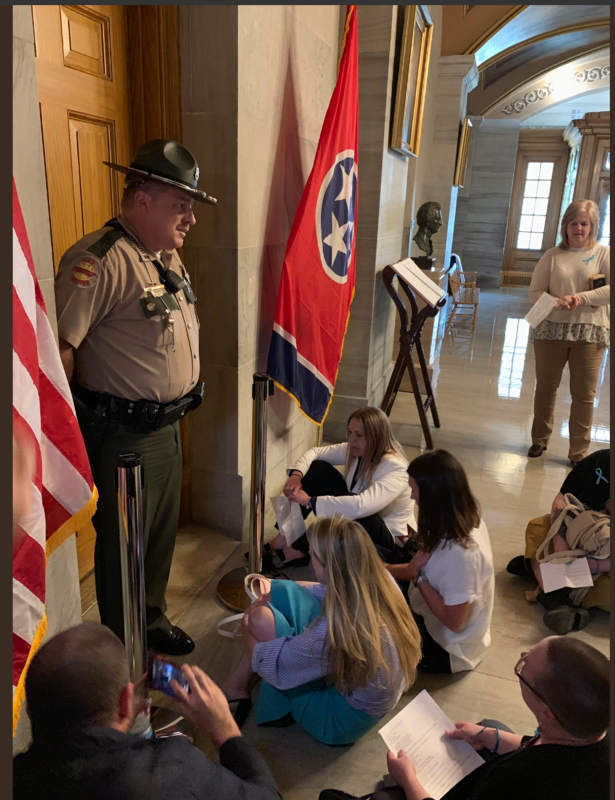 Despite calls to resign from a bipartisan group of elected officials including the former Tennessee Speaker of the House and Lieutenant Governor, both Republicans, Byrd refused to step down. Enough is Enough Tennessee ran a hard-hitting grassroots independent expenditure campaign with the support of local TN volunteers . Unfortunately, Byrd was re-elected with funding from a PAC controlled by TN Republican House leader Glen Casada. 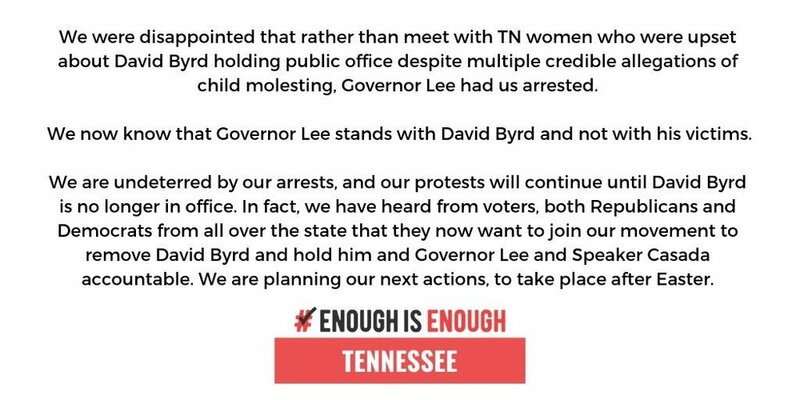 Enough is Enough TN is continuing its efforts to remove Byrd from office and to hold Byrd’s enablers like House Speaker Glen Casada and Governor Bill Lee accountable. Thank you! You have been added to the email distribution list.